Rare opportunity to own in the Riverhouse. Only A line available! 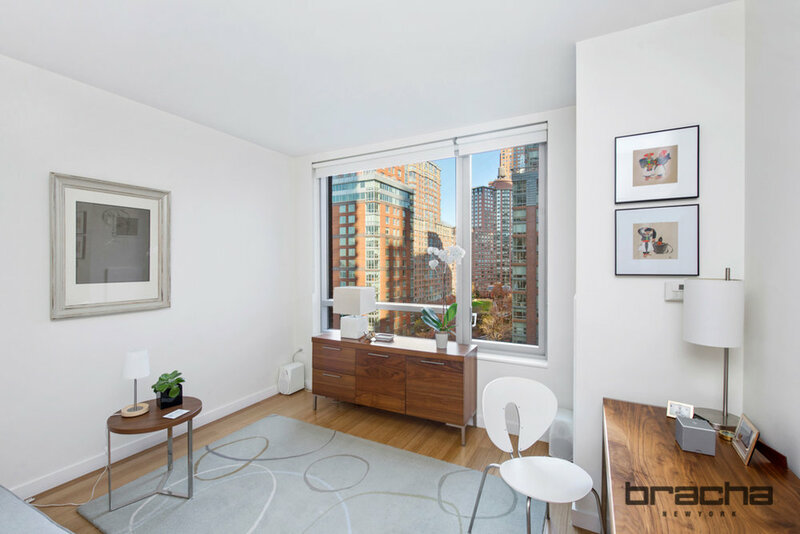 The most desirable waterfront property in Battery Park Cit and the only LEED Certified Green Condominium in North Battery Park/West Tribeca. 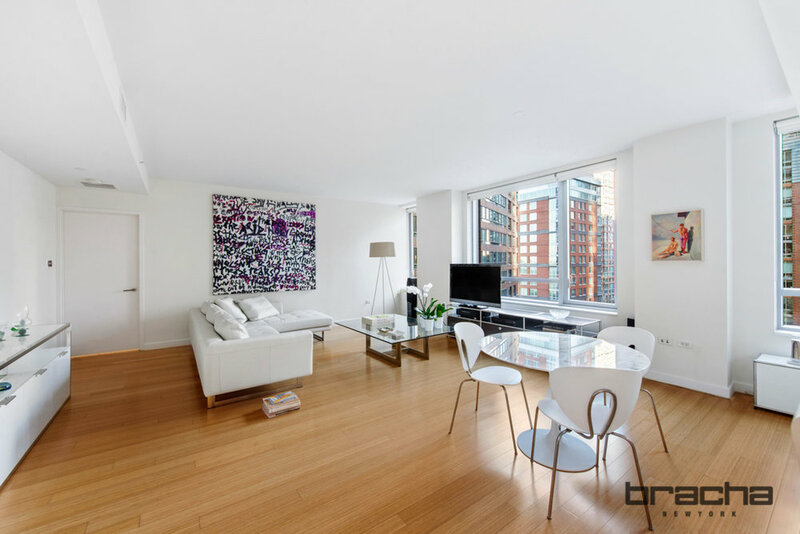 As you enter this two bedroom, two bath home you will immediately be greeted by breathtaking views and a spacious, oversized loft feel. The 15 foot foyer leads to a spacious 29 by 19 foot great room large enough to accommodate living and dining spaces ideal for entertaining. With Northern exposure, partial city and full park view, you will enjoy plenty of light through oversized double-glazed insulated windows overlooking the gorgeous 2-acre landscaping of Tear Drop Park. 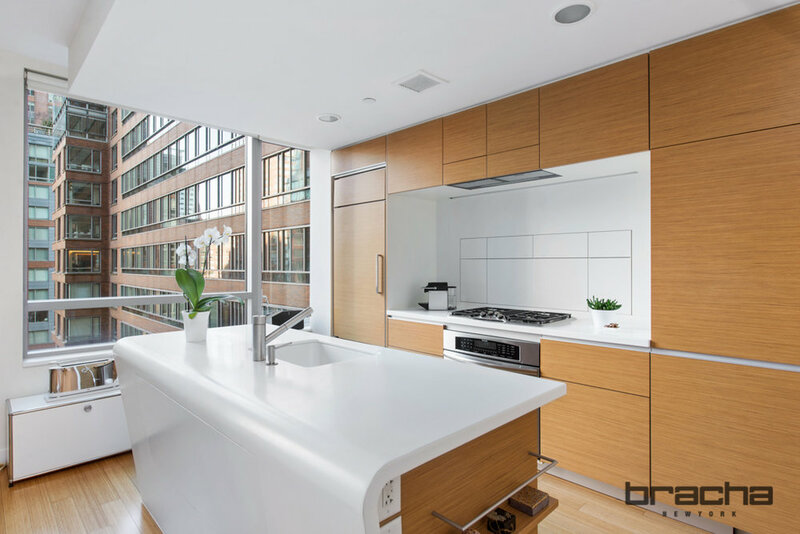 The apartment boasts a stunning David Rockwell designed open kitchen including custom Corian countertops, teak-faced cabinetry and energy star appliances by Sub-Zero, Thermador and Miele. The master bedroom features generously sized closets and an en-suite bath. 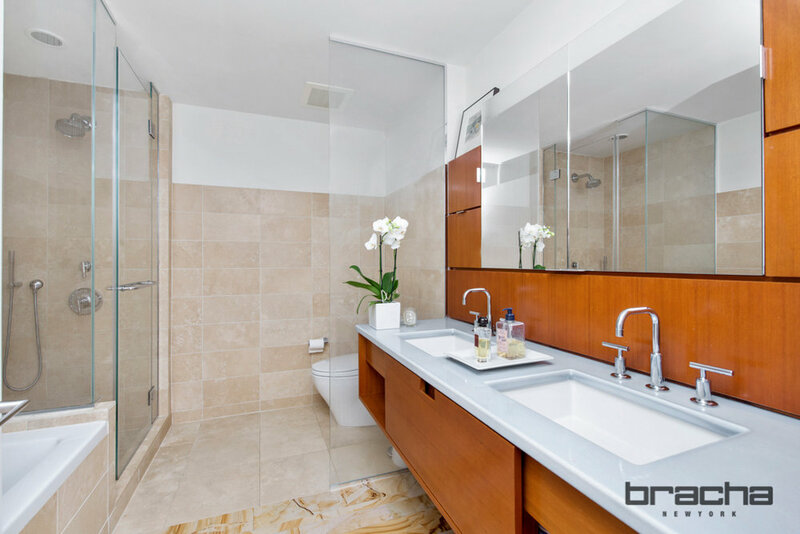 The master bathroom includes a double sink vanity, frameless glass shower, separate Neptune Zen Soaking tub, large window and exquisite finishes. There is a second bathroom for guests that can be converted into a laundry room. Separate bedrooms flank the living space offering the ultimate in privacy and flexibility. The Riverhouse is situated in front of Rockefeller Park greenery and the Hudson River. With amenities and interiors designed by David Rockwell (Nobu, W Hotels & Kodak Theater in Los Angeles), exterior architecture by Polshek Partnership Architects (Rose Center at the Museum of Natural History), and layouts by Ismael Leyva Architects (Time Warner Center) this full service building also has received a Gold rating by the Leadership in Energy and Environmental Design (LEED) program. Amenities include on-site parking, fitness center with yoga studio, 50' lap pool, children's playroom, billiards room, media caf, and second floor landscaped garden overlooking the latest extension of Teardrop Park. Poets House, a 45,000 volume poetry library, the new branch of the New York Public Library and Le Pain Quotidien complete the retail spaces. 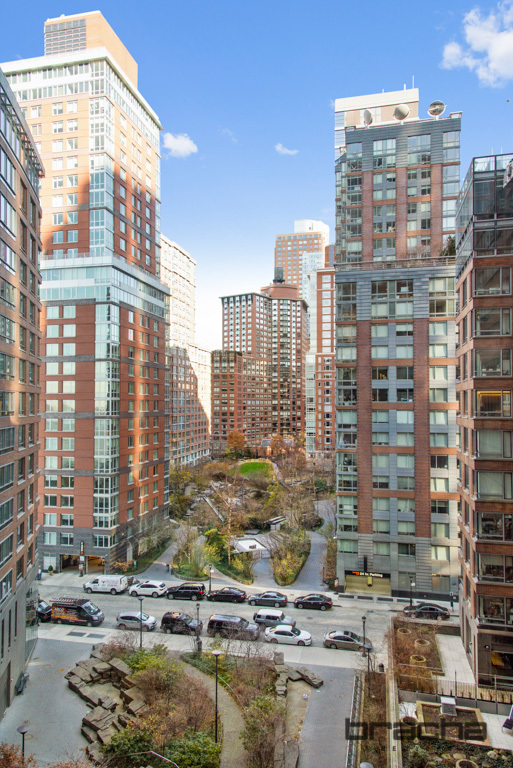 In close proximity are Rockefeller Park, Teardrop Park, the Hudson River Esplanade and Tribeca's culinary delights, including Whole Foods.